When I am cooking for my children, I really try to think about what foods they like and what new tastes I can introduce to them. Hummus is probably the one thing I like to surprise them with because there are several kid-friendly varieties that I know my children will love. Hummus is a great food for kids because of the dipping involved. I can lay out a bowl of hummus and surround it with a plate of veggies, crackers, or pita bread and let my kids experiment with different textures and flavors. Not only that, the different variations of hummus allow for a blending of kid-friendly flavors with Middle Eastern culture. This is probably the first hummus recipe I always recommend when asked for kid-friendly Middle Eastern foods. Most kids love peanut butter already, so introducing peanut butter hummus to them should not be hard. 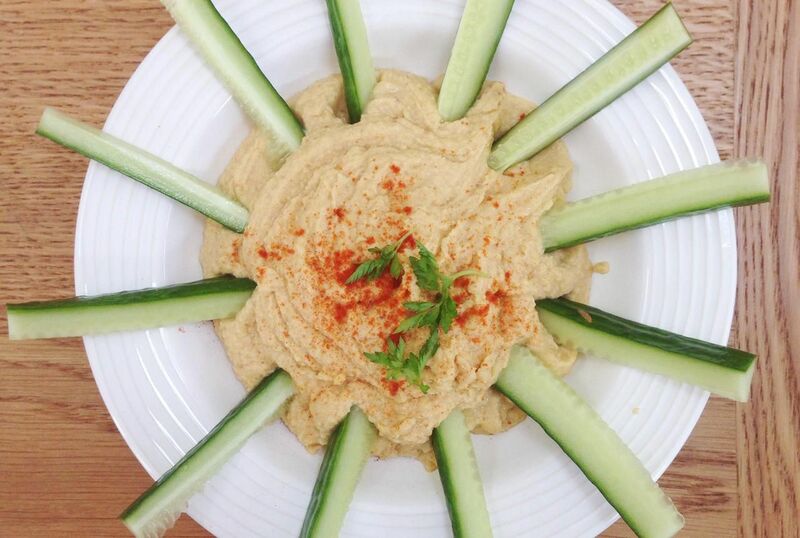 High in protein, peanut butter hummus is perfect for more picky eaters who do not eat a lot of meat. Add some chopped veggies and pita bread to make this a healthy snack. This hummus without tahini variation takes on the tradition hummus recipe but omits the tahini you would normally find in a hummus recipe. Tahini, for some, is an acquired taste, and I found it a bit too much for my kids when they first tried hummus. This recipe was a hit once the tahini flavor was gone. Spinach might be one of the last foods kids want to think of eating, but incorporating it into hummus can help children learn to love spinach fast! This spinach hummus is the perfect hummus for veggies and bread. Much more healthy than regular chips and dip! This was a hummus I tried on my kids with instant success. Maybe some kids don’t like tomatoes alone, but I know they love tomato based recipes and this sun dried tomato hummus recipe was a hit with my children! I serve hot pita bread and pita chips with this and my kids always ask for more.